Hotel Royalty is one of the latest offerings in the form of boutique residences in Pune. It has a classic ambiance coupled with great service. 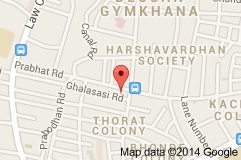 It is located on Prabhat Road, in Erandwane in Pune. It is a wonderful place to stay in if one is interested in Pune architectural buildings as the hotel takes you back in time while providing facilities of the 21st Century. The hotel has its own parking space and provides valet parking services. The front desk is welcoming and helpful. There is a travel assistance desk that provides valuable travelling advice. Foreign exchange service is also available. Airport pick up and drop service can be availed at the hotel. Room service is open for 24 hours which is a great boon for all guests at the hotel. Other amenities include a doctor on call and a Laundromat in the hotel premises. WiFi Internet connectivity is provided so that guests can keep in touch with the world. Accommodations are of four types – The Standard Room, The Deluxe Room, The Super Deluxe Room and the Suites. Tariffs start at Rs.2850 and go up to Rs. 6500. The charge per extra person is Rs. 700 and the checkout time is 12 noon. There is a conference hall for hosting various events, both formal and informal. Curry on the Roof is the multi cuisine restaurant at the Hotel Royalty which serves delicious food to all the guests and the locals alike.